Justs Sirmais is singer and musician from Riga, Latvia, born 6 February 1995. Justs has been dealing with music since the age of six. He studied in Riga Dom Cathedral Choir School, where he got to know music theory, piano, performing arts, jazz theory, improvisation and ensemble (combo), which significantly affected his further life path. Justs has been singing and playing on the streets of Riga when he was 16. . After that he has been participating in various music projects: funk/rock band TaxFree, which he started with his peers while studying in 10th grade, funk/jazz band Bunch of Gentlemen and in 2014 has cooperated with rap/electro/punk performed Gacho, being featured on his album "Smaids Līdz Ausīm" followed by a series of concerts, most outstanding of which were performances at festivals Summersound and Holi colours festival. He also won 2nd place in Ghetto faktors competition. As the three most impressive facts about you Justs names that he has hitchhiked with his guitar from Latvia to Paris and back, he has worked as a musical teacher with mentally ill children, he has graduated best at high school in Latvia with highest marks in maths. "Everything I do, I do with all my heart and I do it well, whether it is sport, music, business, organizational task or anything else". At this moment Justs is studying at Riga Teacher Training and Education Management Academy to become a vocal teacher in popular and jazz music and to be able to fulfil his vision, and open his alternative music school. Additionally he has teamed up with his friends and is in process of creating an APP that he himself describes as Tinder for musicians. 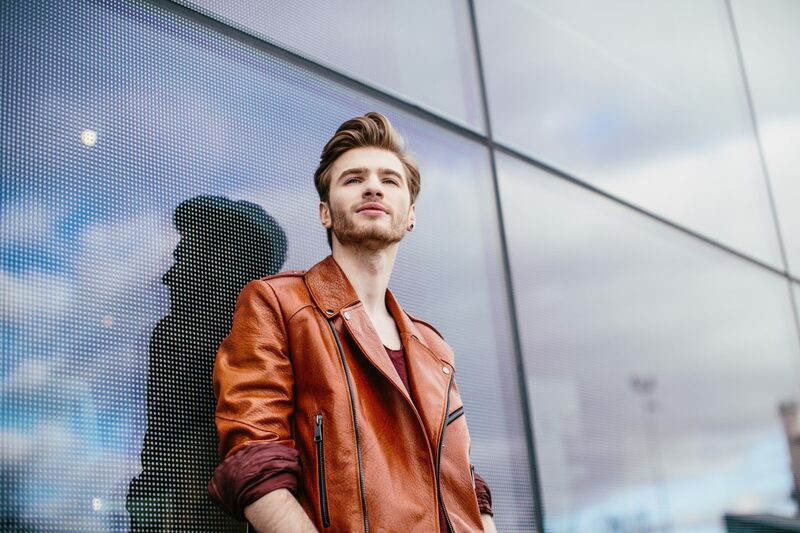 He says that he has a persistent desire to sing, to develop and bring his own and Latvian music to the world, and ready to do everything to find his way to the stars. He names Ray Charles, Michael Jackson, The Neighbourhood and Glass Animals among his musical influences. 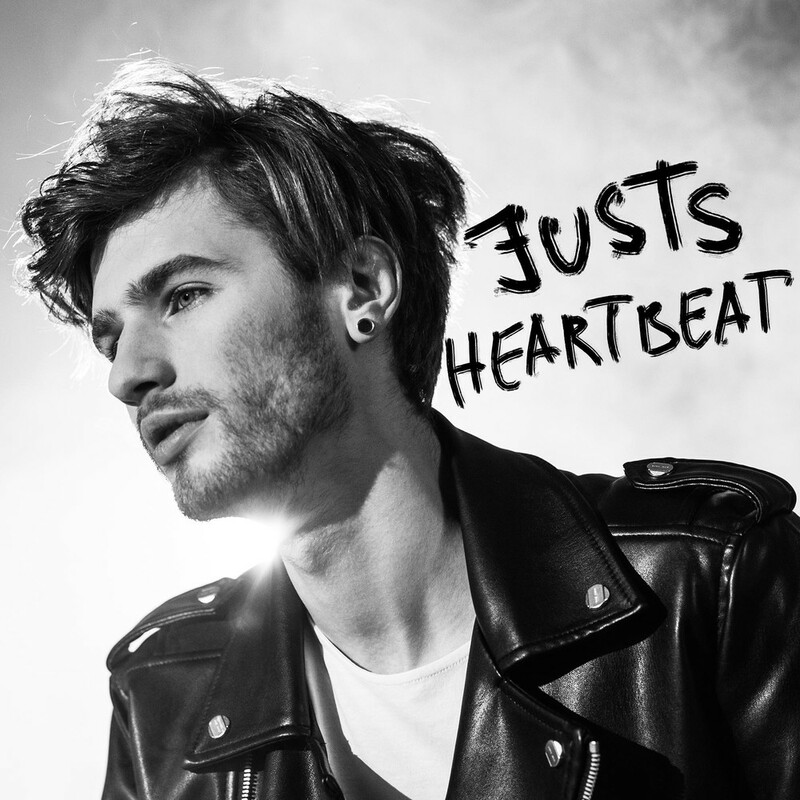 At the Eurovision Song Contest Justs will perform his debut solo single "Heartbeat" written by last year's Eurovision entrant Aminata Savadogo. 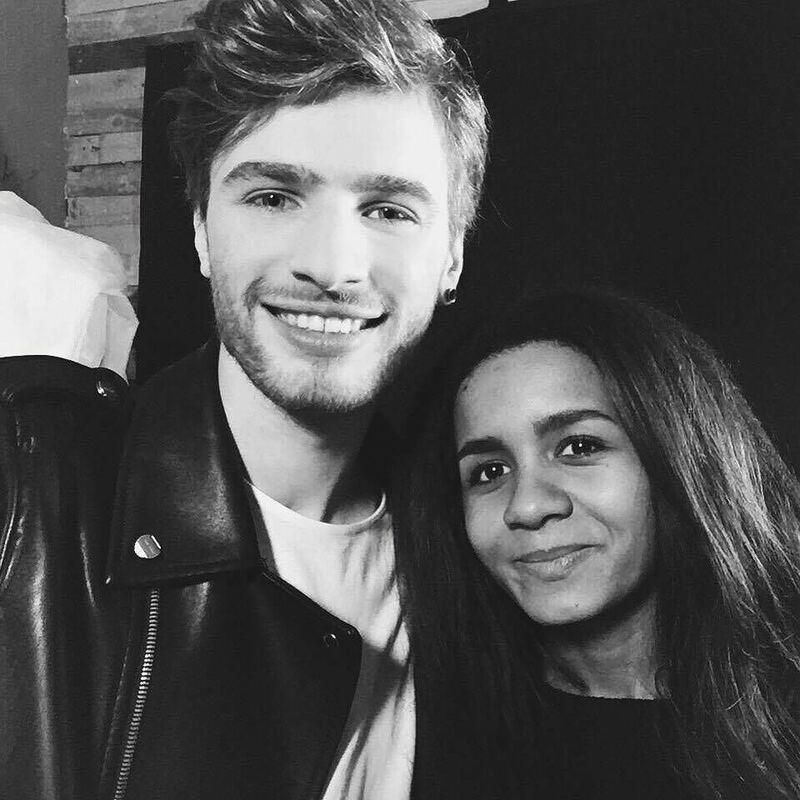 "I believe that Aminata's name, style and quality Eurovision will not forget for a long time, and that she is songwriter of my song will not remain unnoticed, but the biggest plus, however, is that in my performance we have tried to keep Aminata's style and quality mark". "The main motive in the song is about lost love and pain that it gives. It is like prayer to forget all the bad that happened and start everything from the beginning. Even maybe this prayer could not be heard and just resound in the silence, you can't move on without saying it out loud. Eurovision is a big international platform for music, and my dream is to conquer the top of the music world, so this is a very important step to make to fulfill my dream"
Eurovision.tv has published the official profile video of the Latvian representative singer Justs, which offers a chance to get to know him better, find out what inspires him, and learn how he lives his life. What does Justs feel when he enters the stage? "Freedom, and a chance to tell my story", he says. The concept of the video is based on feelings and symbolism. "The main goal which we wanted to aproach during shooting was getting in the right mood", singer's manager Julija Fricsone-Gavriss explains. "The video was shot in two days in Riga, the capital of Latvia. Two shooting days in a row started at 5:00 am with sunrise and ended at 20:00 pm with sunset. We used only natural lighting"
Participation in the "Eurovision" song contest in Sweden opens the opportunity to reach the world market, said representative of Latvia Justs in the interview to BNS agency. "A lot of people will listen to me, and my intention is to catch their attention, so that I can return to this audience with new songs, with new concert program. I want to continue what I'm doing on the Latvian stage on the most professional and larger world stages", says Justs. The musician also looks forward getting people's assessment of his own abilities. "I want to hear honest people's opinions on how good I am, I want to see what is the response to my personality, my character, my music, my vocals. I was doing music for a long time and want to keep doing it for the life. I think this is a great opportunity, a great platform on which one can prove himself", says the musician. "The main worry is about how the Swedes will interpret my performances in terms of projection", shared his thoughts Justs. He explained that he will be able to find this out only shortly before the contest. "We have already sent visual materials, but there is always an interpretation - how will it be seen by the Swedes. They can both accept or ignore it, but I'm sure they all are professionals". For the performance itself Justs is not worried, he both works on the choreography and is strengthening his vocals. He is also taking English language lessons to be able to better work with foreign media. As reported, the performance of Justs will not be directed only on the television viewers. He wants to raise emotions of both TV viewers and the viewers in the hall. Is not yet known whether Justs will be alone on the stage, but performance creators want to give prominence to the singer. One of the reasons for such a decision is likely to be the theme of his song, and the other - the competition sense. Manager Julia Fricsons Gavriša previously said that on Justs' performance will work the team that helped him at the Latvian Television contest "Supernova". It will involve herself and director Andžei Gavrišs. On 8 March to Riga has arrived filming group from Sweden who was working on the Latvian postcard for the contest. The postcards not only presents the country, but also the participant himself, his hobbies, interests and creative life. Work on the postcard began on Wednesday at 6 in the morning at the Latvian Academy of Sciences observation deck. Next, their path led to the National Library, where recently Justs spent long hours in preparation for the session of exams. On midday the crew was also seen in the Old Town, where Justs quite often tends to make music on the street. As one of the most popular hobbies of Justs is riding a longboard, this activity was also included in the Latvian postcard. Filming ended at the seaside. Justs will attend Eurovision promotional events in Amsterdam and London, says manager of the singer Julia Fricsons Gavriša. Besides that, in April he will have mini-tour of Latvia with performances in Rīga, Liepāja, Ventspils and Madona. Music video for "Heartbeat" will be also released shortly. In parallel with the performances, the singer will be recording new songs, which will be included in the EP release. 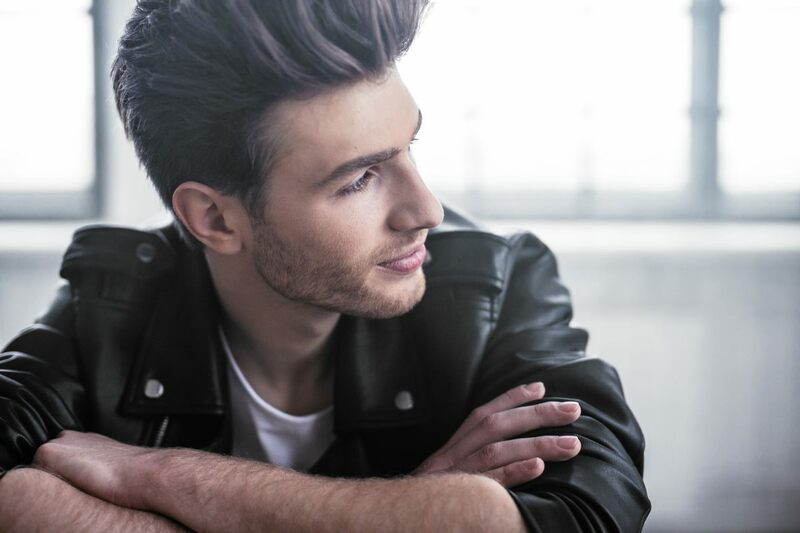 After winning the contest Supernova young musician Justs Sirmais didn't allow time for the celebrations - on the very next day he started intensive preparations for the Eurovision contest. And there is a lot of work, as the musician decided to change everything. "It is decided, we will change the entire performance. Will fully change my clothes, light, performance as such", says Justs to DELFI. So far singer himself has no clear vision how his presentation in Stockholm will look like, however he says that only backing vocals team will remain unchanged from the Supernova version. In preparations, musician very much relies on his team - Andzej Gavriss and Julija Fricsone-Gavriss, who also were helping Aminata in her preparations. Musician also promised to release a follow-up single shortly, which will be done in Latvian language, and which he will devote to all his fans. "I am running out of words to express emotion, my feelings. A simple thank you is no longer enough. I do not even know how to express my gratitude to the people who believed in me and supported me", says Justs. 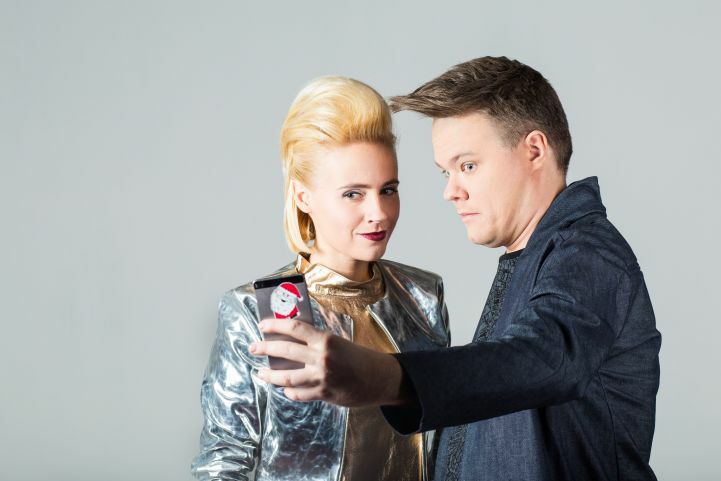 For the second year show "Supernova" has been chosen by LTV to select Latvia's entry for the Eurovision Song Contest. The competition is considered a separate show on LTV, thus has own organizing team and Eurovision participation is just one of the possible awards for the winning artist. The main contest aim is described as: "to find songs with the international hit potential, performed by charismatic and talented performers". Submission period run from 7 September to 1 November with separate submissions for songs (120 songs were received, which is 20% more than last year, listen to some of the demos here and here) and performers (88 applied: 57 soloists, 10 duets, 17 groups, 3 others). Eligible artists and songwriters should either be Latvian citizen or Latvian non-citizen, with songwriters not allowed to submit their entries to the other song competitions. Applying songwriters also should have indicated if their entry is restricted to only the particular performer, and is not allowed to be used by other acts. A list of 20 chosen performers was determined on December 10, 2015, and distribution of the songs to them took place, however, names of performers and songwriters were not made public until introduction shows aired on 24 and 31 January. Final studio versions should have been provided no later than two weeks before the airdate of the quaterfinal show the particular song is taking part in. Some of the artists have competed in the Latvian selections before: Electro Folk and Markus Riva took part in the 2015 Supernova, while Samanta Tina, Sabīne Berezina, Ivo Grīsniņš-Grīslis and MyRadiantU appeared in the previous years. Tomass Kleins and Aminata Savadogo return as songwriters. Starting 05 February preview shows were held on radio Pieci.lv, where participating songs were evaluated by the expert panel, consisting of Delfi.lv entertainment editor Kristīne Melne, music journalist and DJ Uldis Rudaks, composer, Latvian Radio 3 Classic music editor and LTV Cultural news director Edgars Raginskis. Watch 1st part of the show here. Prediction competition has been launched at Ondo.lv. The one who predicted jury winner could win Coolpad smartphone. Atlicis paciesties vēl tikai vienu dienu, līdz beidzot uzzināsim, kas ir #ltvsupernova dalībnieki, no kuriem žūrijai un tev, skatītāj, būs jāizvēlas viens - visspožākais! "Supernova" consisted of three qualifications shows on 7, 14 and 21 February and final on 28 February, hosted by Toms Grēviņš and Ketija Šēnberga. The first heats on 7 and 14 February featured 10 performers each, with 4 (2 chosen by jury and 2 by televoters) chosen to proceed to the semifinal. Jury at the live shows included Guntars Račs, Braistorm drummer Kaspars Roga, singer Ieva Kerēvica and Intars Busulis (replacing last year's jury member singer Dons). Viewers were able to vote on phone with up to 5 calls allowed (0.14 Euros), or SMS (1 SMS = 5 votes, 0.60 Euros), as well as on internet logging to the voting page through registration in social networks Twitter, Draugiem.lv, Facebook (maximum 1 vote from the account). From 8 entries in semifinal on 21 February, 4 again were be chosen to take part in the final (2 by jury and 2 by televoters). Starting from the semifinal stage all backing vocals also had to be performed live. Four entries competed in the final on 28 February 2015 where public voting solely selected the entry which will represent Latvia at the 2016 Eurovision Song Contest. All shows took place in LTV Studio 6 in Riga and were aired on LTV1 and online. Special guest of all shows (adbreaker in internet broadcasts) - Rīgas Bebrs. Guests of the final concert: Bandmaster, Intars Busulis, Aminata. Official hashtag for the show is: #ltvsupernova. The regulation say: "Winner of the competition gets the chance to become Latvian representative at the Eurovision Song Contest 2016. If the performer and songwriters do not sign the agreement on participation in the international competition within two working days after the final of the project, broadcaster reserves the right to conclude such contract with the runner-up of the competition". Юстс Сирмайс - певец и музыкант из Риги, родился 6го февраля 1995 года. Юстс увлекся музыкой, когда ему было шесть лет. Первое музыкальное образование он получил в школе при хоре Рижского Домского Собора, где впервые познакомился с музыкальной теорией, фортепиано, исполнительским искусством, джазовой теорией и импровизацией, что в значительной степени повлияло на его дальнейший жизненный путь. Юстс пел и играл на гитаре на улицах Риги с шестнадцатилетнего возраста. После этого, он принимал участие в различных музыкальных проектах: фанк/рок группе TaxFree, которую он основал вместе со сверстниками учась в 10м классе, фанк/джаз группе Bunch of Gentlemen. В 2014 году он сотрудничал с рэп/электро/панк группой Gacho, приняв участие в альбоме "Smaids Līdz Ausīm", после чего последовали выступления на крупных фестивалях Summersound и фестиваль красок Holi. Также он завоевал второе место на конкурсе Ghetto faktors. В качестве трех наиболее интересных фактов о себе Юстс говорит о том, что он проехал автостопом с гитарой из Латвии в Париж и обратно, работал учителем музыки с душевнобольными детьми, закончил школу в Латвии с самыми высокими оценками по математике. "Все, что я делаю, я делаю от всего своего сердца, и я делаю это хорошо, вне зависимости от того, что это - спорт, музыка, бизнес, организационные задачи или что-либо другое". Сейчас Юстс учится в Рижской Педагогической Академии для того, чтобы стать педагогом эстрадной и джазовой музыки, и, в дальнейшем, исполнить свою мечту и открыть альтернативную музыкальную школу. Также он объединился вместе со своими друзьями и разрабатывает мобильное приложение, которое он описывает как Tinder для музыкантов. Юстс рассказывает о том, что у него есть постоянное желание петь, совершенствоваться и вывести собственную и латвийскую музыку на мировой уровень, и в общем, сделать все необходимое, чтобы проложить себе дорогу к звездам. В качестве своих музыкальных влияний певец называет Рэя Чарльза, Майкла Джексона, The Neighboorhood и Glass Animals. На конкурсе Евровидение Юстс исполнит свой дебютный соло-сингл "Heartbeat", который написала прошлогодняя участница Евровидения Амината Савадого. "Мне кажется, что имя, стиль и качество Аминаты не будут забыты на Евровидении еще долгие годы, и то, что она является автором моей песни не пройдет незамеченным, но самым большим плюсом является то, что в моем выступлении мы постарались сохранить стиль Аминаты и ее знак качества". "Основной мотив в песне - потерянная любовь и боль, которую это приносит. Это - своего рода молитва ради того, чтобы забыть все плохое, что произошло, и начать все с чистого листа. Даже несмотря на то, что эта молитва может остаться неуслышанной и лишь затеряться в пустоте, ты не можешь двигаться вперед без высказывания этих мыслей вслух. Евровидение - это большая международная платформа для музыки, и моя мечта - покорить вершину музыкального мира, потому это очень важный шаг на пути к исполнению своей мечты"
Eurovision.tv опубликовал официальное profile video представителя Латвии, певца Юстса, в котором вы можете увидеть картинки из его повседневной жизни и узнать о том, что вдохновляет его как артиста. Что чувствует Юстс выходя на сцену? "Свободу, и шанс рассказать свою историю", говорит он. Концепция профайл-ролика основывается на чувствах и символизме. "Основная цель, которую мы хотели дсстичь, была - попасть в правильное настроение", объясняет менеджер исполнителя Юлия Фриксоне Гавриш. "Видео было снято за два дня в Риге, столице Латвии. Оба дня начинались с 5 утра с восхода солнца и заканчивались в 20:00 с его заходом. Мы использовали только естественное освещение". Участие в конкурсе Евровидение в Швеции открывает возможность для выхода на мировой рынок, говорит представитель Латвии Юстс в интервью агенству BNS. "Множество людей услышат меня, и мое желание привлечь их внимание, так, чтобы я смог вернуться к этой аудитории с новыми песнями, с новой концертной программой. Я хочу продолжить делать то, что делаю сейчас на латышской сцене на наиболее профессиональных крупнейших мировых площадках", говорит Юстс. Музыкант также хочет, чтобы зрители оценили его возможности. "Мне хотелось бы услышать честные отзывы людей о том, насколько я хорош как артист, увидеть их реакцию на меня как личность, мой характер, мою музыку, мой вокал. Я занимаюсь музыкой уже довольно давно и хотел бы продолжить заниматься этим и в будущем. Я думаю, что это хорошая возможнсть, прекрасная платформа для самоутверждения", говорит музыкант. "Я больше всего волнуюсь о том, как шведы интерпретируют мое выступление в плане проекций", делится своими мыслями Юстс. Он объясняет, что это выяснится только незадолго до самого конкурса. "Мы уже выслали им все материалы, но все равно, интерпретация, последнее слово, остается за шведским режиссером. Они могут как принять наши варианты, так и проигнорировать их, но я уверен в их высоком профессионализме". О самом же выступлении Юстс не переживает, он продолжает работать над хореографией и усилением вокала. Также, он планирует заняться английским языком, для того, чтобы ему было легче общаться с зарубежными СМИ. Как сообщается, выступление Юста будет направлено не только на телевизионных зрителей. Он хочет вызвать эмоции как у них, так и у зрителей в зале. Пока еще неизвестно, будет ли Юстс на сцене один, но те, кто работают над его сценическим выступлением, хотели бы особенно выделить солиста. Одна из причин для этого решения, возможно, тема песни, а вторая - смысл самого конкурса. Продюсер исполнителя Юлия Фриксонс-Гавриш ранее говорила о том, что над номером Юста будет работать та же команда, что помогла ему одержать победу на латвийском отборочном конкурсе "Супернова". В нее войдет как она сама, так и режиссер Анджей Гавриш. 8го марта в Ригу прибыла съемочная группа из Швеции, которая работала над открыткой Латвии для конкурса Евровидение. Открытки представляют не только страны, но и самих участников, их хобби, интересы и творческую жизнь. Работа над съемкой посткарда началась в среду в 6 утра на смотровой площадке Латвийской Академии Наук. Далее, дорога Юстса и команды лежала в Национальную Библиотеку, где, недавно, певец провел долгие часы, готовясь к экзаменационной сессии. Днем группу можно было увидеть в Старом Городе, где Юстс часто поет и играет на гитаре на улице. Поскольку одно из любимых хобби Юстса - кататься на лонгборде, это также вошло в латвийскую открытку. Съемочный день завершился на море. Юстс посетит промо-вечеринки Евровидения в Амстердаме и Лондоне, говорит менеджер исполнителя Юлия Фриксоне-Гавриш. Помимо того, в апреле он также даст мини-турне по Латвии, выступив в Риге, Лиепае, Вентспилсе и Мадоне. В ближайшее время также будет выпущен видеоклип на песню "Heartbeat". Параллельно с выступлениями, певец будет продолжать записывать новые песни, которые войдут в его новый EP релиз. После победы на конкурсе Supernova молодой музыкант Юстс Сирмайс не оставил себе времени для празднований - уже на следующией день он приступил к интенсивной подготовке своего выступления на конкурсе Евровидение. И ему предстоит множество работы, поскольку он решил сменить всё. "Решено - мы изменим выступление полностью. Мы изменим костюм, свет, все выступление в целом", говорит Юстс DELFI. Пока певец еще не знает точно, каким будет его сценический номер в Стокгольме, но по сравнению с Supernova в нем останется только состав бэк-вокалистов. В подготовке он надеется на помощь своей команды - продюсеров и режиссеров Анджея Гавриша и Юлии Фриксоне-Гавриш, которые также помогали в прошлом году с подготовкой Аминате. Музыкант также обещает в ближайшее время выпустить свой следующий сингл, который будет полностью на латышском языке, и будет посвящен всем его поклонникам. "У меня нет слов, чтобы описать свои эмоции, свои чувства. Простого "спасибо вам" уже не достаточно. Я не знаю, как выразить признательность тем людям, что верили в меня и поддерживали на моем пути", говорит Юстс. Второй год подряд шоу "Supernova" было выбрано телеканалом LTV для отбора представителя Латвии на конкурс Евровидение. Шоу "Supernova" считается отдельной программой на LTV, и, таким образом, имеет собственную команду организаторов, и участие в Евровидении является лишь одним из возможных призов победителю конкурса. Основная цель конкурса описывается так: "найти песни, которые имеют потенциал стать международным хитом, и исполняются харизматичными и талантливыми артистами". Период приема заявок продлился с 7 сентября по 1 ноября и проходил отдельно для песен (получены 120 песен, что на 20% больше, чем в прошлом году, прослушайте некоторые демозаписи здесь и здесь) и артистов (подано 88 заявок: 57 солистов, 10 дуэтов, 17 групп, 3 иное). К конкурсу как в качестве исполнителей так и авторов допускаются только граждане и "неграждане" Латвии, иностранцы к шоу Supernova не допускаются. Также не допускается подача композиторами этих же песен для участия в отборах других стран. Песни должны быть совершенно новыми, не быть представлены публике до 1 сентября 2015 года, и не превышать по длине 3 минуты. При подаче заявки авторы имеют право указать, что песня предназначена для конкретного исполнителя и они не дают права ее исполнения другим артистам. С именами 20 участников шоу и розданными для них песнями жюри должно было определиться к 10 декабря, однако имена артистов и авторов песен не публиковались до выхода в эфир предварительных телепрограмм 24 и 31 января 2016 года. Готовые финальные версии треков артисты должны были заявить не позднее, чем за две недели до выхода в эфир четвертьфинального шоу с их участием. Ряд артистов уже выступали в латвийских отборах в прошлые годы: Electro Folk и Markus Riva принимали участие в Supernova 2015, Samanta Tina, Sabīne Berezina, Ivo Grīsniņš-Grīslis и MyRadiantU участвовали в нем в прошлые годы. Tomass Kleins и Aminata Savadogo возвращаются в качестве авторов. С 5го февраля на радио Pieci.lv проходили превью шоу, где участников оценивало экспертное жюри в составе редактора развлекательного отдела Delfi.lv Кристине Мелне, музыкальный журналист и диджей Улдис Рудакс, композитор, редактор отдела классической музыки и новостей культуры LTV Эдгарс Рагинскис. Первую часть программы можно увидеть здесь. Конкурс предсказаний запущен на Ondo.lv, в нем можно было отгадать победителя в голосовании жюри и выиграть смартфон Coolpad. Четвертьфиналы шоу "Supernova" вышли в эфир 7 и 14 февраля 2016 года, в каждом из них приняли участие по 10 исполнителей (и только на этой стадии разрешается использование прописанного бэк-вокала), 4 лучших вышли в полуфиналы - 2 по мнению зрителей и 2 по мнению жюри. В состав жюри телевизионной стадии шоу вошли Гунтарс Рачс, барабанщик Brainstorm Каспарс Рога, певица Иева Керевица и Интарс Бусулис (заменивший заседавшего в прошлом году Донса). Полуфинал шоу состоялся 21го февраля, и вновь 4 лучших вышли в финал, назначенный на 28 февраля. В финальном шоу решение о победителе приняли только зрители. Зрители могли голосовать по телефону до пяти раз (0.14 евро), по SMS (1 SMS = 5 голосам, 0.60 евро), а также голосовать по интернету, регистрируясь на странице голосования через свои аккаунты в социальных сетях Twitter, Draugiem.lv и Facebook (не более 1 голоса на аккаунт). Все концерты прошли в 6й студии телеканала LTV в Риге и были показаны в прямом эфире на телеканале LTV1 и онлайн. Ведущие шоу Томс Гревиньш и Кетия Шенберга. Специальный гость всех шоу (в рекламной паузе) - Rīgas Bebrs. Гости финального концерта: Bandmaster, Интарс Бусулис, Амината. Официальный хештег шоу - #ltvsupernova. Касательно участия в конкурсе Евровидение, правила содержат следующее положение: "Победитель конкурса получит возможность претендовать на то, чтобы стать представителем Латвии на Евровидении 2016 в Швеции. Если исполнитель и авторы песни не подпишут соответствующий договор на участие в международном конкурсе в течение двух рабочих дней после финала национального конкурса, LTV получит право заключить его со вторым призером шоу".